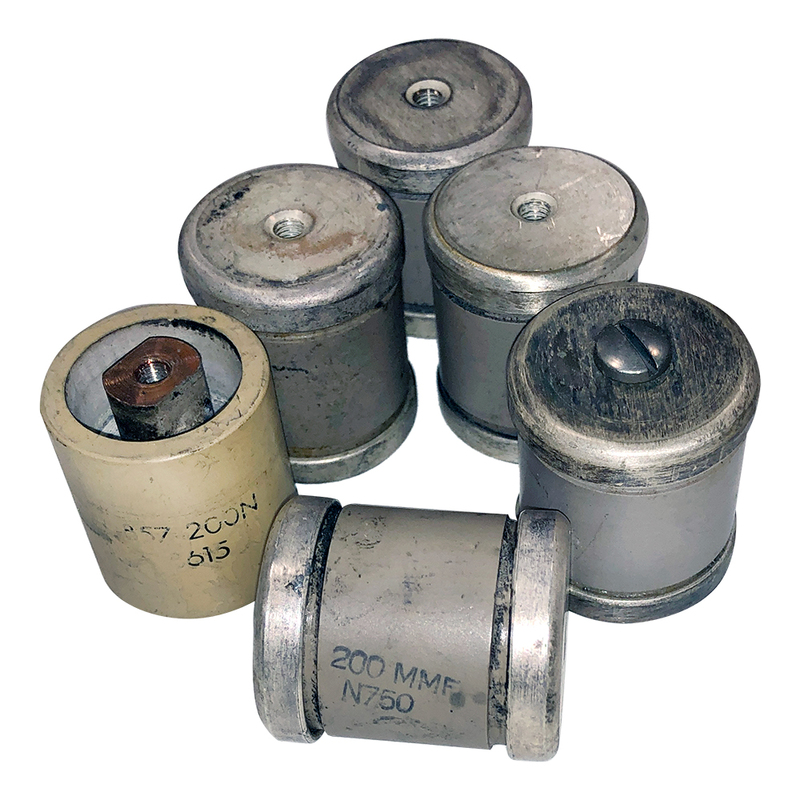 Wire or thread ceramic doorknobs. 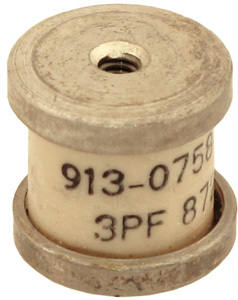 0.312" diameter, 0.39" length. 18 gauge wired or 2-56 threads. 0.437" long. 2-56 UNF threads or wire. 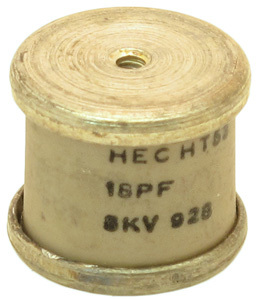 Wire or thread ceramic doorknobs. 0.437" diameter, 0.422" length. 18 gauge wired or 2-56 threads. 0.89" long. 6-32 UNF thread. 1.187" diameter, 1.89" long, 10-32 UNF thread. 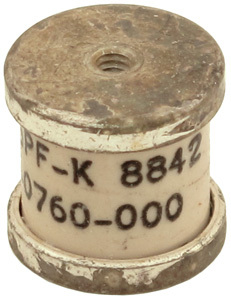 Doorknob capacitor. 200 pF, 7.5 kv, 13 amps. HT-57. Used. Removed from VOA transmitter. 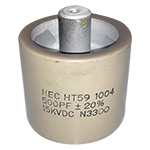 HEC ceramic doorknob capacitor. 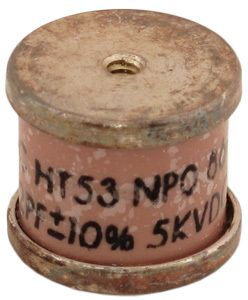 500 pF, 15 kv. N3300. 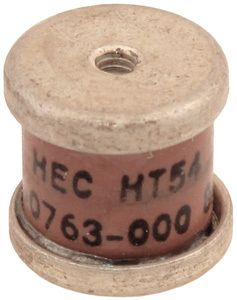 High energy doorknob capacitor. 5 pF, ±10%, 7.5 kv, 7 amps. NPO. Mfg. 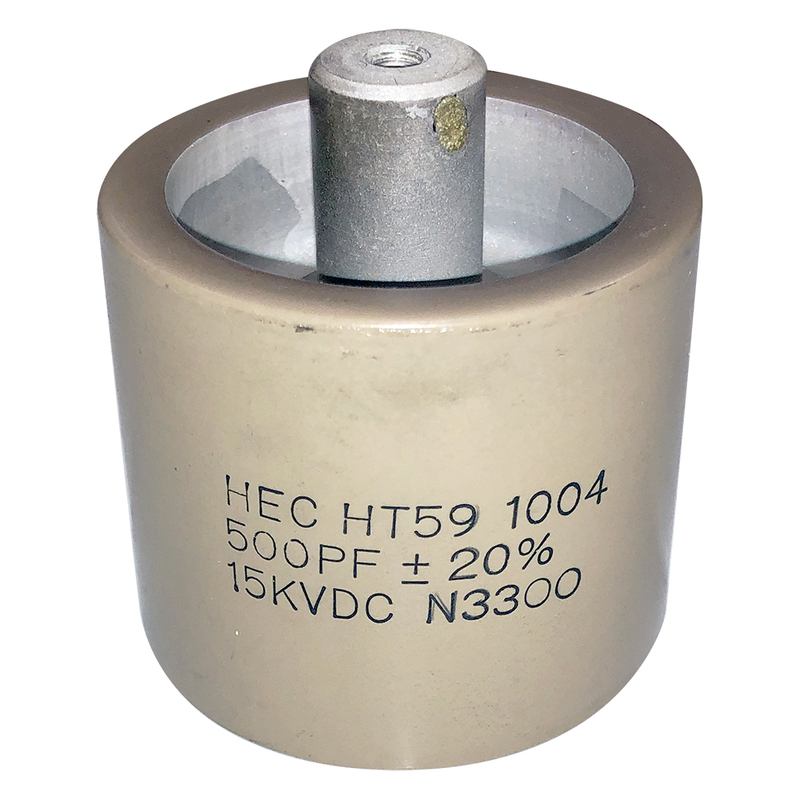 P/N: HEC HT50. 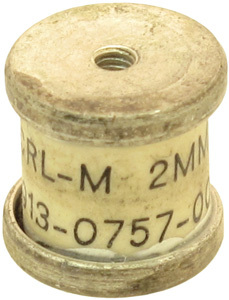 Draloric doorknob capacitor. 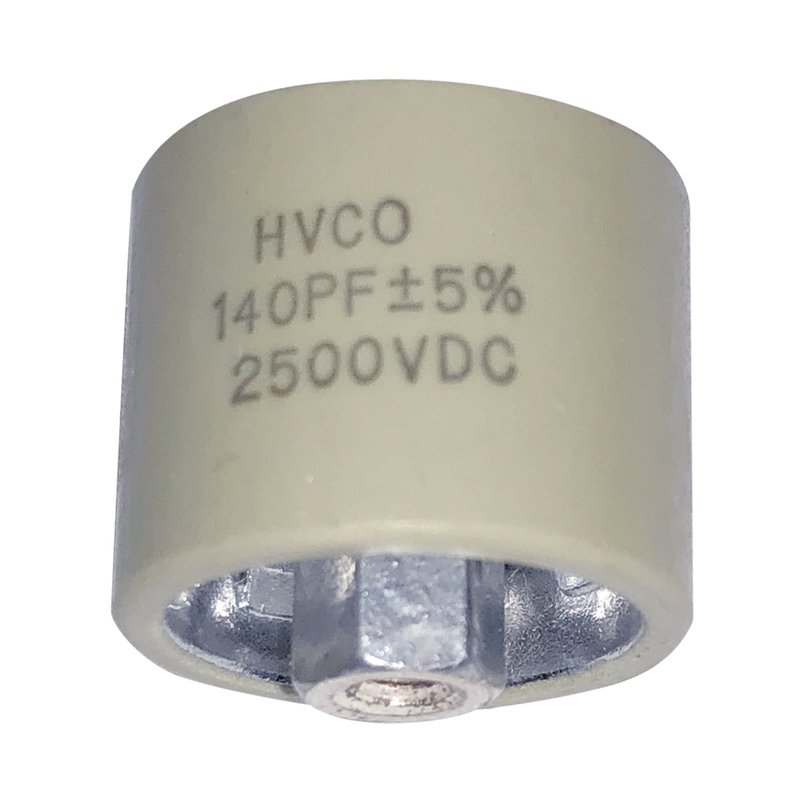 170 pF, 7.5 kvdc, ±10%. N750. Mfg. P/N: TOS-20X16-170-10. 25 pF, 15kv, 5% NPO, 16 amps. Low profile, high Q design out performs typical HT-57 style doorknobs. 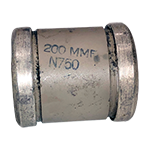 1-7/8" diameter, 1-1/8" high. #10 screw terminals. 150 pF, 2kv, 12 amps. Low profile design. 1-1/2" diameter, 3/4" high. #10 screw terminals. 0.02 µF, 15kv, Low profile design. 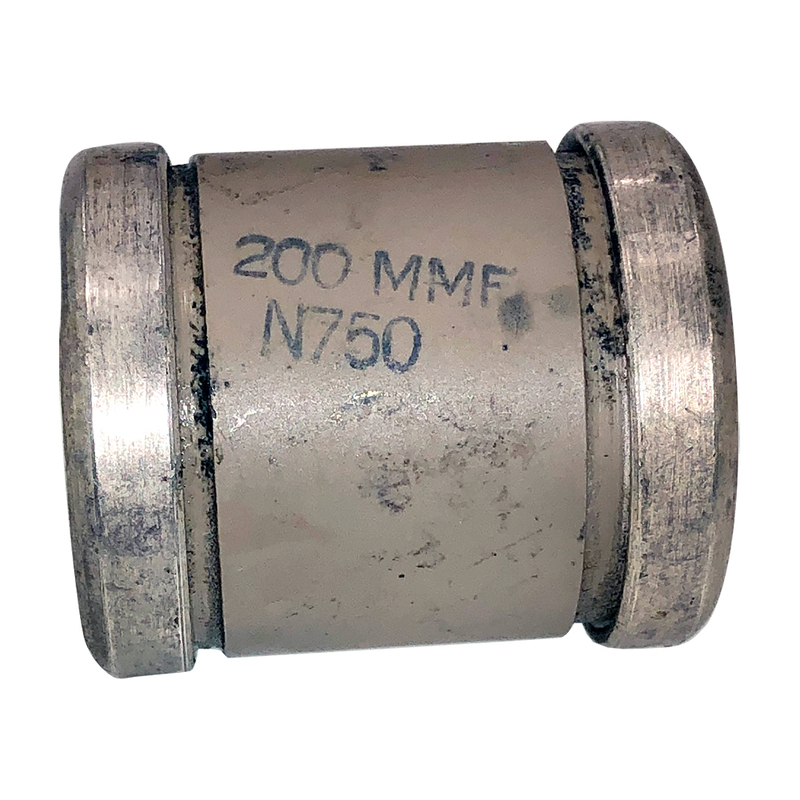 3-1/8" diameter, 7/8" high. #10 screw terminals. 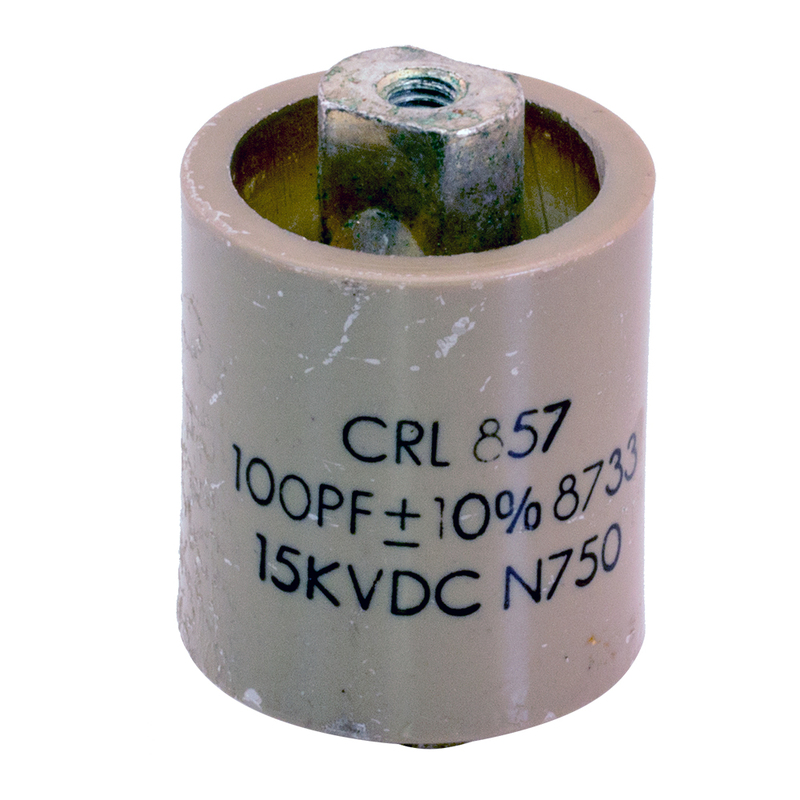 Ceramic doorknob capacitor. 5 pF, 30 kv, 1.5 amps. 1/2" diameter, axial leads. 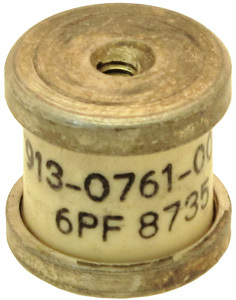 Erie uncased doorknob capacitor. 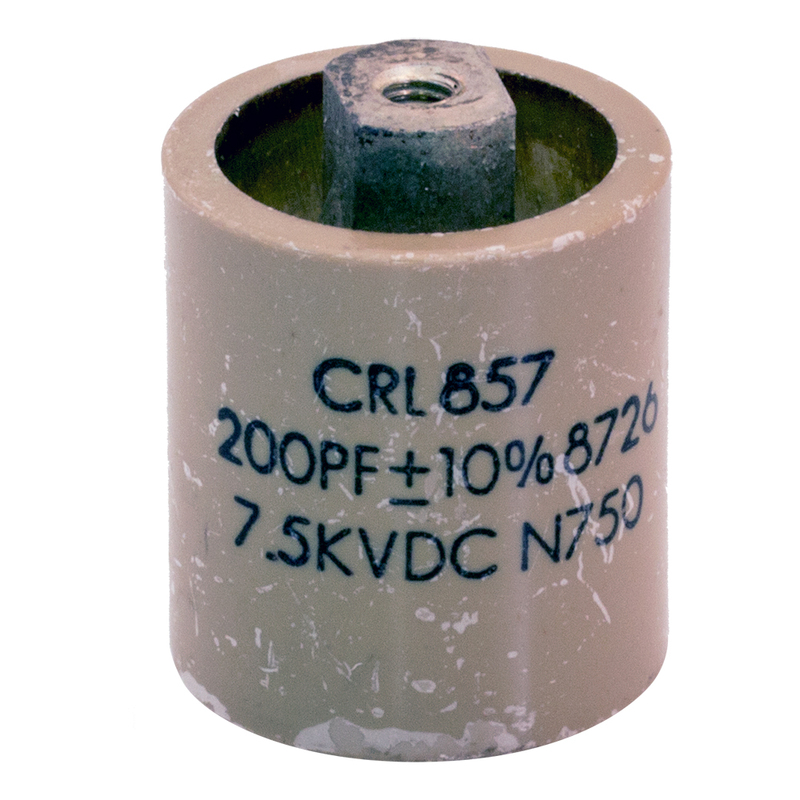 700 pF, 10 kv, 3/4" diameter, axial leads. Alt P/N: 3915AD300X7S701AA.